This set has been a long time in coming. It’s been shown some months ago, available to order on Amazon, cancelled on Amazon, then relisted. Links on MegaConstrux.com have been up for the set and taken down. The PDF instructions for the set were posted too. I have those, but have agreed to NOT post them online. As yet though, no official release of this set has been made. HOWEVER, rather than sit on these images, I want to show what’s out there and talk about this set. 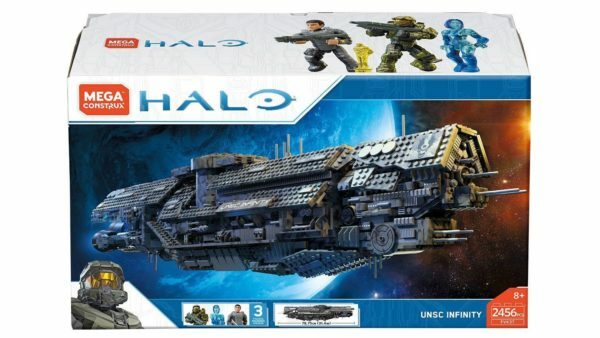 Since this set is still unreleased, images are to be considered prototype with the official set possibly being changed as well as the box art. Okay, let’s start the preview, shall we? The box art is the new white with orange Mega logo. 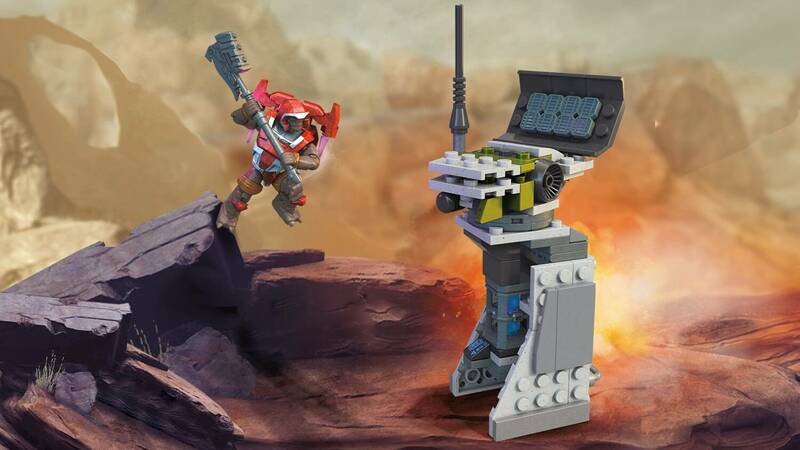 The set photo shows the Mantis in an action pose along with the figures. It should be noted that the Mantis can indeed be posed like this. New sets are finally trickling out, just in time for the holidays! 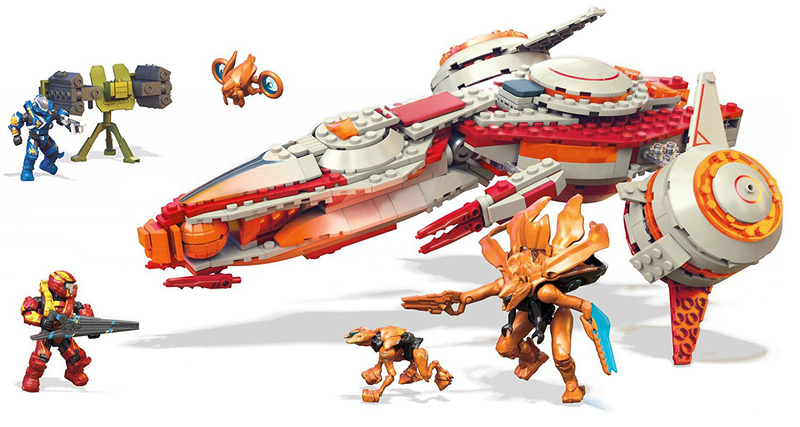 Today, I preview is the Phaeton Helios set from Mega Construx! I have been greatly anticipating this set since the Phaeton Helios was made a variant vehicle in Warzone in Halo 5 Guardians. I have the original Phaeton set from Mega Construx of which you can read my review of that HERE. The Helios version comes nearly 3 years after the original version was released for sale to the public. On to the official pics from Mega! New sets are finally trickling out, just in time for the holidays! 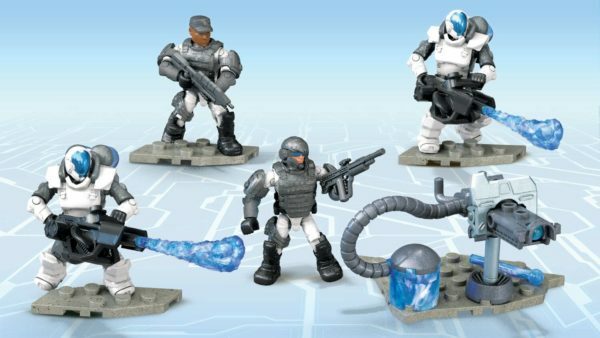 Today I bring you a preview of the UNSC Blizzard Squad set from Mega Construx! New sets are finally trickling out, just in time for the holidays! 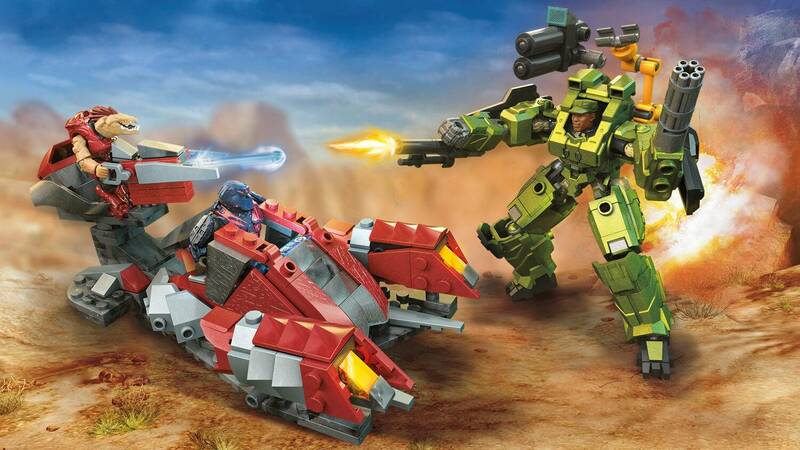 Today’s preview is the Radar Wreckage set from Mega Construx! This based off of the game Halo Wars 2. New sets are finally trickling out, just in time for the holidays! Today, I preview the Green Machine vs Banished Marauder set from Mega Construx! 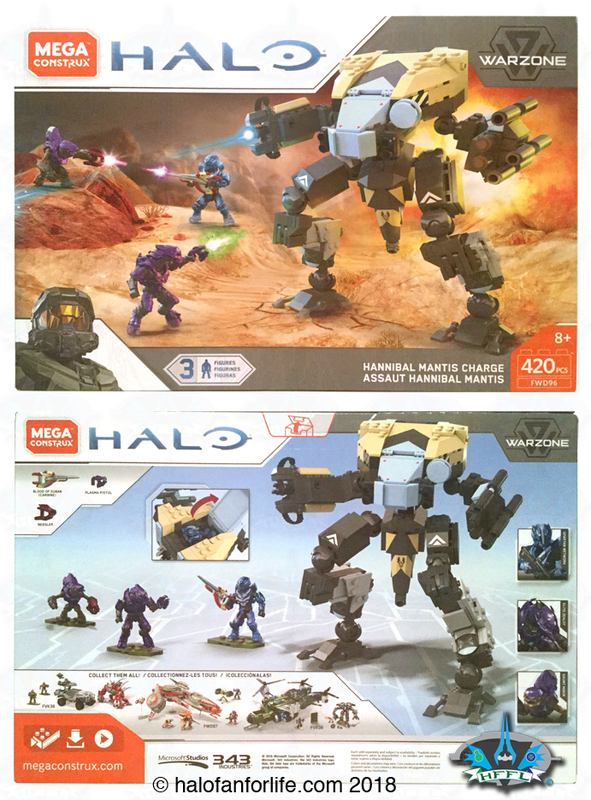 This set is based of of Halo Wars 2. The Marauder is canon to the story, while Sgt. Johnson isn’t as he died in Halo 3. However, he made his pseudo return as a playable hero in matchmaking in the game. Here we see the full set. We get a Marauder, a new vehicle that debuted in Halo Wars 2! As well, a buildable EXO suit for Sgt. Johnson. The Banished aesthetic of sharp angles with silver and red are very much present in the Marauder build. The EXO suit is a very good interpretation in blok form. The Marauder has a built in projectile launcher.